KC Gurukul Society started the KC Gurukul College of Education in 2003 to train students into becoming useful and effective teachers for secondary schools and award the B.Ed. 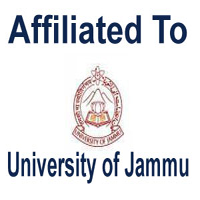 Degree of University of Jammu. The college is situated in Jammu city itself. Trust is purely a secular non-political institution striving to lay thrust on imparting quality Education to the students by adopting the latest principles and models of learning and teaching. The College is NAAC Accredited stands approved by the J&K Govt. vide no. HE/Recg/bed-14/2003 dated 4.7.2003 & affiliated to University of Jammu (having ISO : 9001 certification), accredited as a four star university by the National Assessment and Accredition Council (NAAC) vide University No. CDC/V/152/3177-90 dated 24.07.2000 for imparting instruction in Bachelor of Education course and has a sufficient infrastructural base as per UGC/NCTE/University norms to cater to the needs of students according to requirements of the Govt. and University of Jammu.